With all due respect to the late John Barry (a talented composer of film music), I am mainly grateful to him for giving Louis Armstrong a wonderful, posthumous hit. “We Have All the Time in the World” is a James Bond theme and popular song sung by Louis Armstrong. Its music was composed by John Barry and the lyrics by Hal David. It is a secondary musical theme in 1969 James Bond film On Her Majesty’s Secret Service, the title theme being the instrumental “On Her Majesty’s Secret Service,” also composed by Barry. The song title, “We Have All the Time in the World”, is taken from James Bond’s final words in both the novel and the film, spoken after his wife’s death. Louis Armstrong was too ill to play his trumpet. The song was not registered in the music rating charts in the UK when first released, only becoming well known 25 years later, as part of a Guinness beer commercial after My Bloody Valentine chose to cover it for charity. Armstrong’s version was then re-released and reached number 3 in the UK Singles Chart. In 2005, a BBC survey showed it is the third-most-popular love song played at weddings (Wikipedia). Latest from Egypt: fighter jets low over Cairo. Watching the protests, watching the army. Fighter jets low over Cairo. Live blogging today: EA WorldView, BBC News, The New York Times, The Guardian. Al Jazeera English: Live Stream. On Twitter, @AymanM, @beleidy, @Sandmonkey, @hackneylad, @Gsquare86, @SultanAlQassemi, @Tharwacolamus, @shadihamid, @bencnn, @3arabawy, @monaeltahawy, @abuaardvark, and more. “The Islamophobia Myth” was the title of an influential article by Kenan Malik published in the February 2005 issue of Prospect magazine. It argued that violence, hatred and discrimination against Muslims were at a very low level and that the threat of Islamophobia had been invented or at least greatly exaggerated, mainly by religious leaders hoping to suppress legitimate criticisms of their beliefs and to enhance their own status as community representatives. Malik’s thesis was welcomed in some quarters at the time, including among sections of the left. 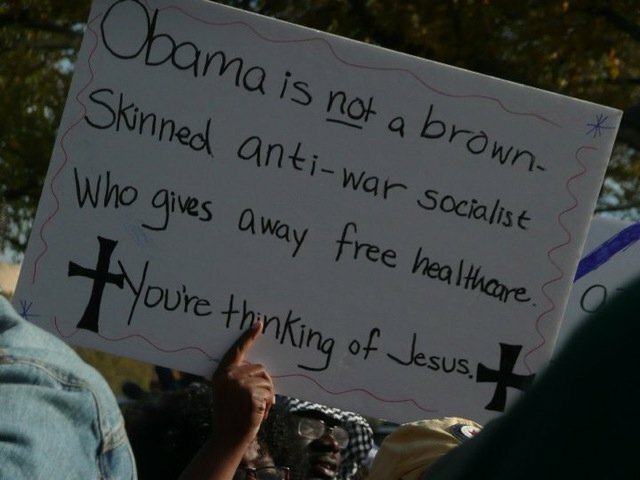 Six years on, far fewer people would buy that argument. Hostility towards Muslims and their faith has reached such a pitch that to deny this represents a major threat is simply untenable. When the racist hooligans of the English Defence League take to the streets in towns and cities across the UK brandishing placards with slogans such as “We will never submit to Islam”, chanting “Burn a mosque down” and on occasion breaking through police lines to rampage through Muslim areas smashing shop windows and assaulting passers-by, who could seriously claim that Islamophobia is a myth? The EDL and its ideology did not emerge in a political vacuum. When its leaders claim that Britain is undergoing a process of “Islamification”, that the existing legal system is being supplanted by sharia courts or that mosques are potential organising centres for terrorism, they haven’t thought up these ideas by themselves. These are themes constantly promoted by papers like the Express, the Mail, the Sun and the Daily Star, and it is this mainstream right wing Islamophobia that inspires and legitimises the more thuggish forms of anti-Muslim bigotry practised by the EDL and other far-right groups. Indeed, Nick Griffin has openly stated that the BNP aims to “take advantage for our own political ends of the growing wave of public hostility to Islam currently being whipped up by the mass media”. Islamophobes of left and right will often claim that they are not attacking Islam as such but rather “Islamism” – a term that is applied so broadly as to cover almost all Muslim organisations which involve themselves in political action, the aim being to blur the difference between those groups promoting peaceful change through engagement with mainstream politics and those advocating violence. Some of the fiercest critics of political Islam have been supporters of the Iraq war like Observer journalist Nick Cohen, who suddenly discovered that Islamism posed an existential threat to western civilisation after the Muslim Association of Britain emerged as a leading force in the organisation of mass anti-war protests. For others, hostility towards Islamism stems primarily from the fact that politically engaged Muslims are vocal critics of the Palestinian people’s oppression by the Israeli state. Here Islamophobia is harnessed to the Zionist agenda of delegitimising political support for the Palestinian resistance. What has the Labour Party’s response been to this rising tide of Islamophobia? “Mixed” is the best you can say. In some cases Labour has shamefully adapted to the prevailing anti-Muslim mood. One example of this was the disgraceful propaganda put out by Phil Woolas in Oldham East and Saddleworth during the 2010 General Election, the purpose of which was to “get the white vote angry” by claiming that the Lib Dem candidate was in an alliance with Muslim extremists. A Labour campaign leaflet featured headlines such as “Straight talking Woolas too fair for militant Muslims” and “Lib Dems in mosque planning permission stitch-up”. Woolas’s election agent suggested privately that traditional Conservative voters who were unhappy about backing the Tories’ Muslim candidate might be persuaded to support Labour rather than the Lib Dems “if we can convince them that they are being used by the Moslems”. During the by-election that followed the court decision to disqualify Woolas, Jack Straw made a further pitch for the white racist vote by endorsing the myth of Asian grooming. His accusation that some men of Pakistani heritage regard young white women as “easy meat” won him the admiration of the Daily Mail’s Melanie Phillips who hailed his stand against “Muslim sexual predators”. This was nothing new for Straw. In October 2006 he condemned the Muslim face-veil as a “visible statement of separation” and revealed that whenever a constituent visited his surgery wearing one he asked her to remove it. Predictably, Straw’s remarks unleashed a vicious media campaign against veil-wearing Muslim women, with “Ban the burkha” headlines splashed across the front pages of the right wing press. That same month the then Communities Secretary Ruth Kelly announced on behalf of the Labour Government that there would be a “fundamental rebalancing of our relations with Muslim organisations”, which involved sidelining the Muslim Council of Britain with its 500 affiliates in favour of an obscure outfit called the Sufi Muslim Council that barely had five members. In 2009 Kelly’s successor Hazel Blears took the opportunity to break relations with the MCB entirely, on the basis of an accusation that one of its leading figures, Daud Abdullah, had signed a document “advocating attacks on Jewish communities all around the world” – an accusation that was completely untrue. In repudiating the country’s largest Muslim organisation the Labour leadership was also succumbing to pressure from an anti-MCB campaign conducted by John Ware in his 2005 Panorama documentary A Question of Leadership and Martin Bright in his 2006 Policy Exchange pamphlet When Progressives Treat with Reactionaries: The British State’s flirtation with radical Islamism, both of which portrayed the MCB as a nest of Islamist extremists. Last year we saw a similar capitulation by the party leadership to an anti-Islamist witch-hunt when the NEC blocked Lutfur Rahman from standing as Labour’s mayoral candidate in Tower Hamlets. The decision followed a campaign by Telegraph journalist Andrew Gilligan to expose Lutfur as an ally of “Islamic fundamentalists” at the East London Mosque who had supposedly infiltrated the Labour Party as part of a plot to transform Tower Hamlets into an Islamic state. The people of Tower Hamlets delivered their verdict on the NEC’s acceptance of Gilligan’s paranoid fantasies by electing Lutfur as an independent mayor with a massive majority. In the interests of balance, it should be added that the Labour leadership’s record on Islamophobia has not been all bad. To its credit, the last Government did introduce the religious hatred bill in an attempt to provide Muslims and other multi-ethnic faith communities with the same legal protection as Jews and Sikhs (who are defined as mono-ethnic and covered by the law against incitement to racial hatred) – only to see the legislation sabotaged by an amendment drawn up by Lib Dem peer Lord Lester. During his eight years as Mayor of London, Ken Livingstone worked closely with organisations like the MCB and the British Muslim Initiative in defending the capital’s Muslim communities and he was uncompromising in his refusal to bend to the forces of Islamophobia, notably in resisting the hysterical attacks that followed the welcome he gave to Yusuf al-Qaradawi during his visit to London in 2004. The struggle to get the Labour Party to purge itself of Islamophobia and adopt a more sensitive approach towards representative Muslim organisations will be greatly strengthened if Ken is returned to City Hall in 2012. The recent death of female tenor saxist Betty Smith, got me thinking about women in jazz: here’s the greatest female jazz band of them all, the International Sweethearts of Rhythm, in the 1940’s. (The soundtrack goes out of sync towards the end – but look out for powerhouse vocalist / trumpeter Ernestine “Tiny” Davis, who ends the film on a high-note). More on the Sweethearts here. Today, representatives of the of the Egyptian labor movement, made up of the independent Egyptian trade unions of workers in real estate tax collection, the retirees, the technical health professionals and representatives of the important industrial areas in Egypt: Helwan, Mahalla al-Kubra, the tenth of Ramadan city, Sadat City and workers from the various industrial and economic sectors such as: garment & textiles, metals industry, pharmaceuticals, chemical industry, government employees, iron and steel, automotive, etc… And they agreed to hold a press conference at 3:30pm this afternoon in Tahrir Square next to Omar Effendi Company store in downtown Cairo to announce the organization of the new Federation of Egyptian Trade Unions and to announce the formation of committees in all factories and enterprises to protect, defend them and to set a date for a general strike. And to emphasize that the labor movement is in the heart and soul of the Egyptian Peoples’ revolution and its emphasis on the support for the six requirements as demanded by the Egyptian People’s Revolution. To emphasize the economic and democratic demands voiced by the independent labor movement through thousands of strikes, sit-ins and protests by Egyptian workers in the past years. The image of the German concentration camps as the worst element of National Socialism is an illusion, a dark mirage over the unknown desert. In the early months of 1945, the chiefly non-Jewish prisoners in the SS concentration camp system were dying in large numbers. . . Some of the starving victims were captured on film by the British and the Americans. These images led west Europeans and Americans towards erroneous conclusions about the German system. The concentration camps did kill hundred of thousands of people at the end of the war, but they were not (in contrast to the death facilities) designed for mass killing. Although some Jews were sentenced to concentration camps as political prisoners and others were dispatched to them as laborers, the concentration camps were not chiefly for Jews. Jews who were sent to concentration camps were among the Jews who survived. This is another reason the concentration camps are familiar; they were described by survivors, people who would have been worked to death eventually, but who were liberated at war’s end. The German policy to kill all the Jews of Europe was implemented not in the concentration camps but over pits, in gas vans, and at the death facilities at Chelmno, Belzec, Sobibor, Treblinka, Majdanek and Auschwitz. I haven’t got If This is a Man to hand, but I remember when they arrive at Auschwitz he says of most of the people with him – men, women and children – that “they were swallowed up by the night”. Those must have been the great majority who were killed immediately. “It was rare to find a woman jazz musician in the Fifties. Even more rare to find one who played hotter jazz than her colleagues. The tenor saxophonist Betty Smith was one such” – Steve Voce in The Independent (28th Jan). The rest here. Betty was a great tenor player in the Bud Freeman/Eddie Miller tradition (and also a pretty good singer). 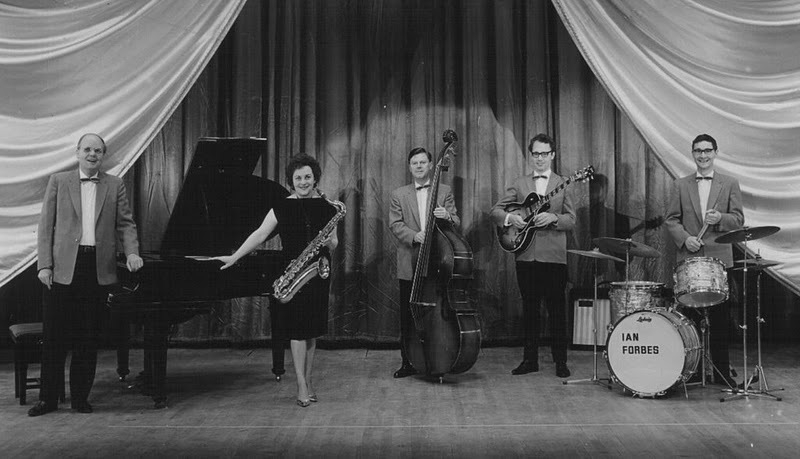 The only other female instrumentalist (another sax player, as it happened) of any significance on the British jazz scene of the 50’s and 60’s was Kathy Stobart with Humph’s band. There has been (to the best of my knowledge) no serious study of women in jazz since Sally Placksin’s 1982 book ‘American Women In Jazz’, and that (as is obvious from the title) didn’t deal with jazz women in Europe or the UK. The time is ripe for further study and recognition. Islamist support may have been over-estimated. The high levels of support for the Egyptian protests among ordinary people may indicate a larger than suspected groundswell of support for genuinely democratic, non-sectarian politics in the Middle East. The lack of vocal support among the protestors for standard Islamist slogans perhaps indicates that much of this apparent support for the Brotherhood was not ideologically-based but rather based on a shared opposition to the status quo for whom the Brotherhood was the only available outlet. This shows that Brotherhood claims to be the ‘only real opposition’ to dictatorial regimes in the Middle East should be viewed with a considerable amount of scepticism in future. Given the opportunity, many people in the Arab countries clearly prefer civil, non-sectarian parties over Islamists. The basic demands of the Egyptian demonstrators for jobs, food and accountable government are both tangible and strikingly non-ideological. The Egyptian protests are also remarkable for the wide cross-section of society represented through them – civic, non-Islamist activism is not just popular among the elite but also among the masses. This is also a rebuff to those on the Right who believe that Muslim-majority societies do not want or understand liberal secular democracy and also to those on the Left who argue given a free choice that Muslims will chose Islamism over pluralism and political freedom. Aside from Egypt, the unfolding events in Tunisia are also a challenge to supporters of the Muslim Brotherhood who argue that Islamism is the only alternative to either Mubarak dictatorships or al-Qaeda. There is now another clearly option for the Middle East: genuine pluralist democracy. The process is still ongoing.Although the revolts in Tunisia and Egypt have so far been largely secularist and pro-democratic, and often deliberately excluding of Islamists, this may yet change. Although groups like the Muslim Brotherhood have been caught off-guard by the protests, they are looking for ways to re-gain the initiative in both Egypt and in Tunisia. Previously Islamists have tried to take over and usurp revolutions in Muslim-majority countries, doing this successfully in Iran in 1979 and unsuccessfully in Egypt in 1953. Although secularists in Egypt and Tunisia are clearly alert to this danger, this does not mean that Islamists will not try, perhaps with some success, to hijack these mass movements. Similarly, if secular democratic regimes are ultimately established in these countries, some Islamists groups may deliberately try to push them towards collapse (as Hezbollah has recently done in Lebanon) in order to ultimately take control of these states.